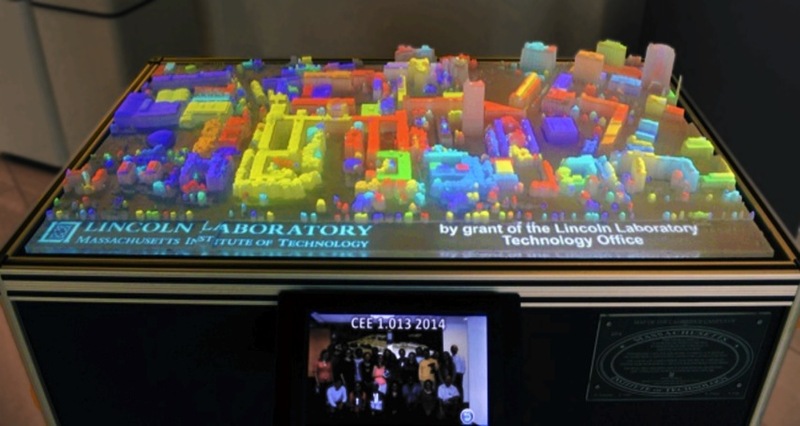 MIT Researchers 3D Printed a Scale Model of the College to Visualize Big Data #3DxScience #3DThursday #3DPrinting « Adafruit Industries – Makers, hackers, artists, designers and engineers! Big data—massive data sets that can be queried for specific information—can be difficult to wrap your head around. 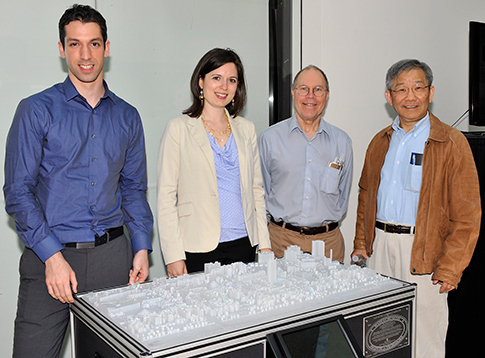 Researchers at MIT used 3D printing to manufacture a mini version of their campus to visualise and make sense of geolocated data, and they say the concept could be used in urban planning. LuminoCity, the printed miniature in question, was designed by Zachary Weber and Vijay Gadepally, researchers at MIT’s Lincoln Laboratory. The device projects geotagged points of data onto a plastic mockup of a city from below, and serves as a proof of concept for how data can be visualised spatially. For the purposes of a paper, which is available on the arXiv preprint server and was presented at last week’s IEEE High Performance Extreme Computing conference, Weber and Gadepally collected thousands of tweets and mined them for locational data. After parsing the tweets’ locations of origin on the MIT campus (down to the building), they were placed on LuminoCity’s software grid and projected onto the mockup in an array of colours. LuminoCity is still in the prototype stage, but it’s already found applications in data research at MIT. In July, LuminoCity was used to visualise gas and particulate levels around campus, which were detected and measured by an array of sensors designed by students. The researchers see the device as being of further use to MIT administrators, as well. “For example, this data set will be mined to display data that may be important for administrators at MIT who wish to know about patterns on campus through key-word searches and topic clustering,” Weber and Gadepally wrote. “Other demonstrations may include animating Twitter traffic volume as a function of time and space to provide insight into campus patterns or life.” ….